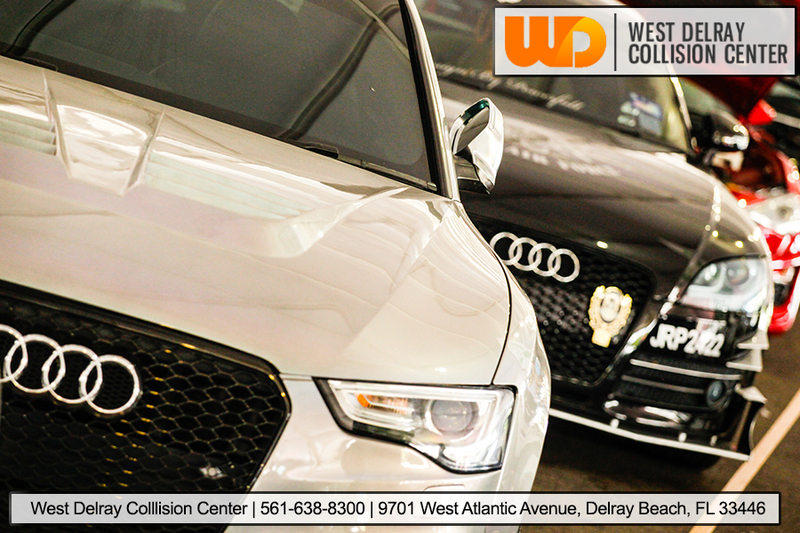 Welcome to West Delray Collision Center. Bring your car, truck or SUV to the Delray Beach, FL auto body repair shop fully equipped to handle any problem on any vehicle from any year – West Delray Collision Center state-of-the-art collision center encompasses the latest equipment and service bays where our talented body shop technicians work their magic to restore your vehicle to its former glory. Our modern paint booth equipment and materials are designed to put a beautiful and lasting finish coating on your car while protecting our Delray Beach air and water quality. At West Delray Collision Center, we offer superior customer service, and all of our work comes with a Lifetime Warranty! We have a 24-hour roadside assistance to handle problems day or night, and on-site rental services will provide you with a loaner vehicle so you can get back to your regular schedule while we take care of the repair process. We will work with any and all insurance companies to get you the best possible rate on your car’s repairs, and we provide immediate computerized estimates on restoring your damaged vehicle. Hope you enjoy exploring our new website http://westdelraycollision.com and call us at 561-638-8300 if you have any questions. West Delray Collision Center | How to handle a car accident in 7 easy steps? ©2019 West Delray Collision Center · Built by Stealth Creations Inc.